Blonay, Switzerland: Today, Fennobiz GmbH, the Swiss sales and marketing company specialising in helping Nordic hi-tech companies to enter the Western European markets, announced it has signed an agency agreement with the Finnish company Datapartner Oy. Having helped create new business and opportunities for a number of Nordic, German and local companies Fennobiz is now expanding its offering the leading solution Invest for Excel® from DataPartner. “A lot of individual spreadsheets are created in organisations for evaluating business cases and investment opportunities and this can be challenging. There might also be a doubt about whether the calculations are really correctly made. Invest for Excel® will provide our customers with a reliable and complete solution and it is already available in multiple languages, including German. We are excited about the great potential for the solution on the Swiss market”, said the CEO of Fennobiz, Mr Pekka Niskanen. Mr Jens Westerbladh, CEO of DataPartner, said “We have already helped over 1.500 organisations worldwide, such as Daimler, to make better prepared business decisions and now we are delighted to bring our solution to the Swiss market together with Fennobiz, building on their wide customer network and practical approach to customer service”. Fennobiz, established in 2011, is on a mission to help hi-tech companies enter the Swiss, German and Austrian markets. The company acts as sales agents for a number of Nordic companies and also provides direct sales services to Swiss and German companies in the ICT business. DataPartner is a global provider of software products for capital budgeting, financial modelling and valuation. We also offer consulting services and training. DataPartner was established in 1987 in Finland. In Northern Europe, DataPartner is the leading software supplier for capital budgeting. Currently we experience a fast growth on a global level, serving companies and corporations from all industries in over 50 countries. 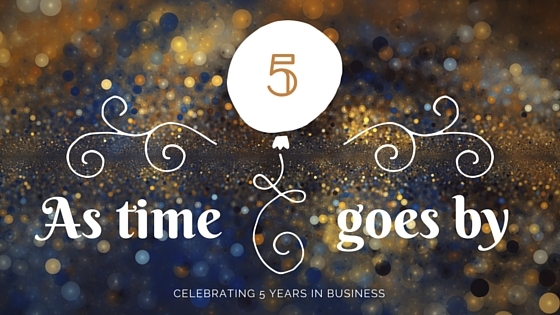 This June we are celebrating five years in business. Like with any start-up business, it has taken a lot of hard work and – yes, also good luck – to get our company to the point it is in now. So where are we? It has been a great learning experience and we know a lot more about the way business is done in this region. It is one thing to sell products and solutions of companies that are household names and in good demand. And a whole another thing to build your own strategy and offering from scratch. How do you do it? Without an existing network of good business contacts and friends it would be downright impossible. People, who have been kind enough to recommend us or point us to the right direction. Finding business partners with value adding solutions is another thing. With RELEX Solutions we have been able to work with one of the best rising stars in Nordic – and also European solution developers. While working with RELEX Solutions we have been able to reach an exceptionally high success rate in organising meetings with customer top management and also getting customer projects started in Switzerland. You can find out more about the first customer already in production, Galexis AG in the RELEX Galexis AG press release. 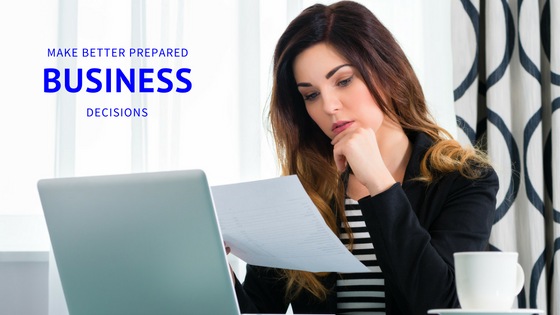 It has also been really interesting to learn in practice many new things about the financial side of running a business. 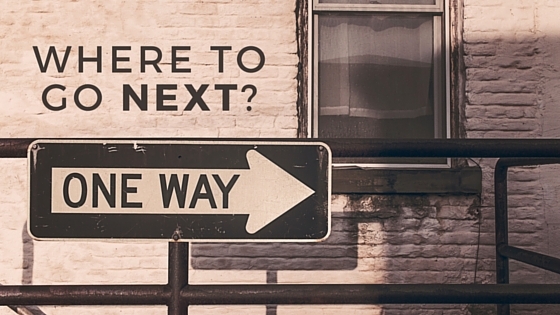 From the very beginning we decided to outsource this area and were lucky to find an excellent company to work with. We cannot stress enough the importance of such cooperation, when operating in a foreign environment and culture. We are currently in the process of moving a great deal of our IT infrastructure to the Apple® world – for several reasons. Another rewarding learning process in itself and an excellent source of fresh new thinking and creativity. It also takes a great level of SITUATIONAL AWARENESS in multiple areas. Like understanding people behaviour in a multicultural environment. That is a topic worth a separate blog post coming up soon. And, over the years it has become more and more clear to us that we are on a mission to help companies get to new markets in Western Europe, finding fresh new opportunities – daily! 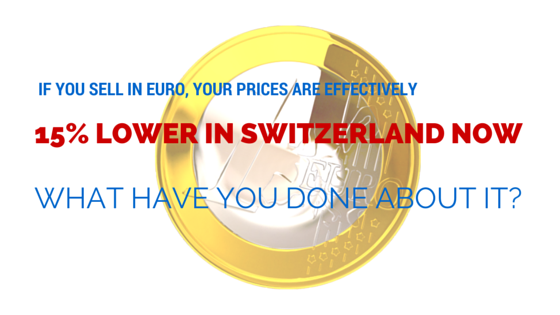 If you sell in euro, your prices are effectively 15% lower in Switzerland now – what have you done about it? The Swiss National Bank dropped the bomb in the morning of January the 15th 2015: they announced that they would stop to artificially support the euro through buying on the market. This had a massive impact on many things – including improving your competitive positioning in Switzerland, if you are selling to Switzerland from the euro area. So – what have you done about it? Many companies and people have felt the pain, though. Including all of us here in Switzerland, who had euros on their bank accounts or companies that had receivables from their export business activities in euros. The Swiss Market Index was hit by the news too and went down by 14.9%. There had been talk that the pressure on the Swiss Franc was mounting, but few expected the SNB to make such a major move all of a sudden. The euro went down massively within literally minutes from the announcement, recovering then slowly from costing less than one Swiss Franc to parity. For quite some time now the exchange rate EUR/CHF has been close to about 1.05. Did you know that according to the Informatikverband ICT Switzerland the Swiss ICT exports in 2011 were about 9 billion Swiss Francs – a whopping six times more than the combined exports of cheese and chocolate combined? The impact to any company having their costs in Swiss Francs and their export sales made in euros is of course significant. But that’s not all: all of a sudden the Swiss tourism industry is suffering from the lack of tourists, too. And the Swiss living anywhere close to the borders – and in a small country like Switzerland there are plenty of those – started shopping in the supermarkets in Germany, France and Italy more eagerly than ever before! In fact, very soon after the announcement the local media reported on queues several kilometres long on the roads heading towards the German town of Konstanz in the north-eastern corner of Switzerland, by the Lake Constance! The Swiss businesses have started to cope with the situation in different ways. The large retail chains are lowering their prices to keep their customers. As an example, Coop announced on the 22. of January that they would reduce prices on a thousand products from the euro area and again on the 3. of February reductions on 3.200 further products by up to 17% were announced. Migros soon followed with their own similar announcement. As another development, some manufacturers are asking their employees to work longer weeks – according to Handelszeitung 43 – 45 working hours per week are being requested from the employees in an attempt to improve productivity. A good question is, why the SNB did not do this gradually by announcing the capping to say, 1.10? Well, be that as it may, your euro area business now has an advantage on the Swiss market of around 15% in comparison to the time before the January 15th announcement. We are experiencing many Swiss businesses using this opportunity to buy investment goods and consumables from the eurozone in higher volume than before and there is no reason why you should not take advantage of this new situation. If you are not yet on the Swiss market, you should seriously consider the entry. Either way, we at Fennobiz would be happy to discuss the market situation and how your hi-tech offering would fit on it in more detail. Give us a call and we’ll discuss your particular situation without any obligation. Giving a technical presentation? Improve your results by at least 200%! You have loads of interesting technical material that you need to show and explain to your colleagues – your customers – or your business partners – or <fill in the blank>? You have heard all this talk about having only a few words on your slides? How the heck can you convey all this information to your audience, if you are not supposed to use at least ten bullet points per slide? What about all these details on the contents of the new software/hardware release? No way! If you really believe your audience will be able to, not to mention excited to grasp all the material you plan to present, you are kidding yourself. 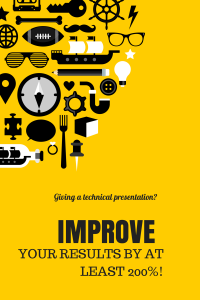 But there are simple ways, in which you can improve your chances of getting your messages through, keeping your audience awake even after the lunch break and yes, in general making an interesting presentation. Make that presentation ready just the way you are used to do. Use bullet points. Try to keep it to a max of 10 bullet points per slide. Add images in sizes that are still clear and any text in them is readable. Do not exaggerate with the quantity of slides, but do put the information on the slides that you believe your audience will appreciate and need. Make sure you have at least one image on every slide that helps understand the topic. Save and close the file. Now, open that same file again and do a “Save as…”. Give the file a new name with the word “presentation V1” in the file name. This is the hard part. Remove all the text from all the slides – except a few (no more than five or six) key words that describe the gist of what is discussed on each slide. Resize the image on the slide to full size and see that the keywords fit nicely on the slide and are easily readable. They should be in a font size of at least 30. Do not use wild or multiple colours. Choose a simple font (sans serif preferred). Rename the original file with all the details as “Handout…”. Have enough of them printed or copied on some digital media so that you can hand them out at the event. Go through your new presentation and practice it. To be able to present the material without all the nitty gritty detail will require you to go through it out loud at least five times. Trust me – you will feel much more comfortable in front of your audience, when you have done it. If you can do the practicing in the actual meeting room in advance, so much the better. If not, even going into the meeting room well in advance to have a good look at it will make the upcoming event a more relaxed one for you – you can imagine yourself presenting to the audience in that room. While at it, check the obvious things like connectivity to the beamer and that your slides actually do look good on the screen. You do not want to let any technical problems to ruin your presenting mood in front of the audience! It is up to you, if you wish to give out the handouts in advance. It really also depends on your audience, but you do realize that there is always the risk people will start flipping through your material rather than be listening to you. But then again, if you are interesting to listen to – they will more likely not. So there you have it. You probably need to deliver the detailed material, but you do not need to present all of it. But you have done your homework and you can deliver the details and your essential points to your audience with confidence. And finally, as a small bonus tip: think of a way to surprise your audience a bit in the middle of the more intense part of your presentation. Way back, when presentations were given using 35mm film slides with projectors, one presenter was going through his material, when his audience of about a hundred people suddenly started to look at each other and smile. He seemed to notice this, stopped and looked back at the big screen behind him and realized the slide was upside down. Guess what he did? He pressed the button and the slide showed up correctly! It took a few seconds, before the audience realised they had been fooled and gave him a big applause. And I can still remember his presentation.